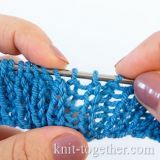 Knitting a yarn over without an eyelet. 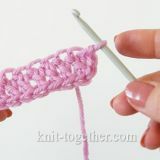 Take the yarn over by the tip of the right needle from the back. 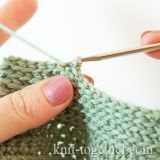 Reduce two purl stitches together. 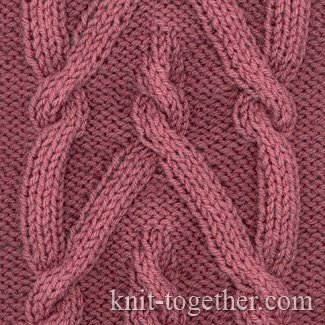 Reduce two knit stitches together (at the front). Grab six stitches inclined to the right. 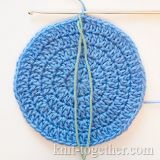 The 1st, 2nd and 3rd stitches get slipped to the back onto the additional needle. 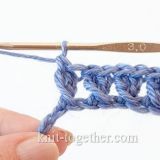 First, knit the 4th, 5th and 6th stitches, then those from the additional needle. Grab six stitches inclined to the left. 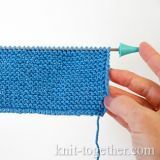 The 1st, 2nd and 3rd stitches get slipped to the front onto the additional needle. 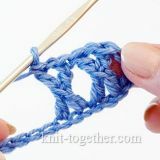 First, knit the 4th, 5th and 6th stitches, then those from the additional needle. 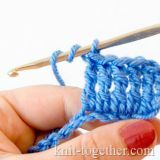 Reduce two stitches by a pull.